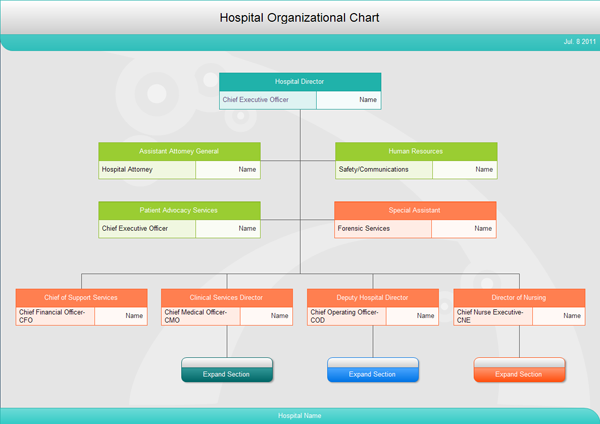 With Edraw organizational chart software, you can create clear and comprehensive hospital organizational charts with no prior experience. Refer to this hospital organizational chart to know how a hospital runs. More personnel, photos, and HR information can be added to manage the hospital. 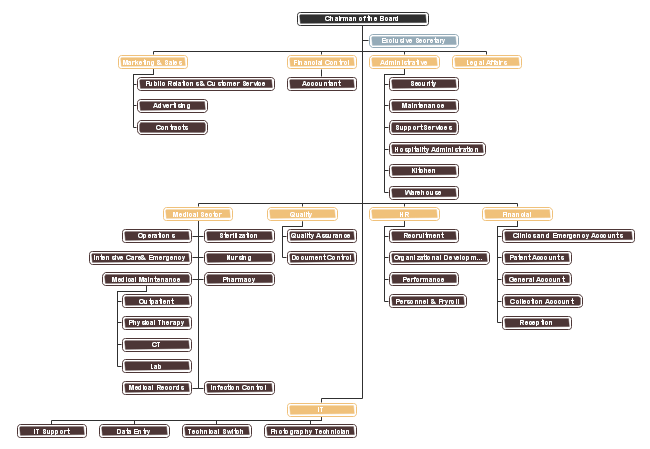 In Edraw organizational chart software, you can find out the best layout style for an organizational chart easily. Many operations are carried out automatically. Try it and you will surely marvel at it. As you can see by studying the common hospital organizational chart below, these types of charts are the ideal way to illustrate the inner structure and hierarchy of a hospital or any other type of organization. This org chart is perfectly aligned, spaced and laid out. Here's a specialized hospital organizational chart from Ganzouri. From the chart, you can see clearly that a hospital consists of not only medicine, operation, and nursing but also marketing and administration. Detailed human resources allocation can be achieved by OrgCharting.